In today’s interview, I get to speak with a sports medicine and exercise physician, Dr Paul Mason, all about lectins and how they could be impacting us. Paul is very passionate about helping people lose weight and improve health using personalised nutritional advice based on the latest evidence-based science. Years ago, Paul developed an interest in the low-carb/ketogenic diet and adapted this approach both in his own life and when treating patients. Today, however, we get a chance to talk more about another contributor – that in addition to carbohydrates – could be affecting the success people have on the low-carb/keto diets. Today, we are talking about lectins. Paul explains what lectins are and the role they play in weight loss and certain health conditions such as autoimmune disease. If you know someone who is interested in learning more about lectins, what they are and the role they play in our health and weight loss, this interview is for them. I really enjoyed this interview with Paul’s as he sheds some light on reasons people on low-carb/keto diets could still be struggling. It’s fascinating to learn more about lectins and how lectin sensitivity could offer another tool in a physicians toolbox, when considering treatment options for certain individuals. To find out more follow Paul on Twitter or visit his website, Low Carb Doctors. 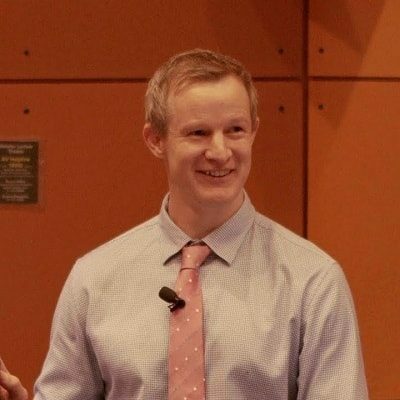 [00:19] – Introducing, Dr Paul Mason, who is a Sport and Exercise Physician from Sydney, Australia and will be talking to us about lectins. [01:01] – What are lectins? In short they are carbohydrate binding proteins mainly found in plants. Dr Steven Gundry talked about this in his book The Plant Paradox. [02:04] – If a lectin gets absorbed across the intestinal wall it can get absorbed through the vagus nerve and travel up to the brain; where it’s been linked to Parkinson’s. Paul talks about some studies looking into this. [04:30] – This is not to say that plants cause Parkinson’s. Paul explains how genetics play a really big role. Autoimmune disorders like this require a combination of factors; a genetic component, a leaky gut and lectins in the diet. [06:38] – Lectins are not only present in plants, and we don’t know if all plants contain lectins. We do know legumes such as peas and peanuts as well as nightshade vegetables such as potatoes, tomatoes, eggplants and chillies etc., do (particularly in the skin and seeds). [Tip: Preparation such as peeling, deseeding and cooking significantly reduces the amount of lectins.] [10:53] – We also get different types of lectins; some more harmful than others and binding to different cell types. [14:20] – Paul explains that there are two different classes of conditions that are affected, metabolic and autoimmune. He also explains how it causes weight gain in people and why people struggle to lose the extra weight. [17:42] – Paul discusses soy, soy products and gluten, referring back to specificity of different lectins causing different symptoms. However, keep in mind most diseases are multifactorial. [19:54] – How is joint pain affected? Paul can’t confirm joint pain improvements are due to lectins or an autoimmune response. He explains why glucosamine seems to help millions of people improve their pain. [24:00] – Because some people are more susceptible to the effect of lectins than others, could we term this a lectin sensitivity? We discuss how this brings a whole new element to how we think of our diets. [26:07] – Paul explains autoimmune disease and what lectins have to do with this? 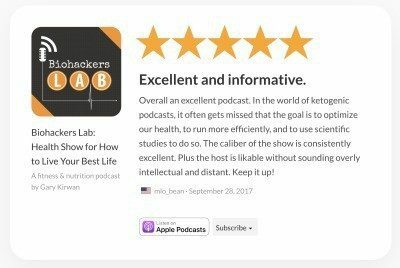 [Biohackers lab tip: listen to our interview with Mikhaila Peterson for more on her experiences with this.] [30:11] – While Paul is hesitant to give people any firm diet recommendations, individuals who are low-carb or keto but are experiencing problems may want to consider an elimination diet. He shares his clinical approach of actually testing for intestinal permeability. [Biohackers lab tip: listen to our interview with Dr. Zsofia Clemens for more on intestinal permeability and its links to autoimmune disease] [34:00] – Paul explains that we have to distinguish between irritable bowl syndrome (IBS) a condition where carbs and sugar alcohols don’t get absorbed by your intestines causing mixed symptoms of constipation and diarrhoea, and inflammatory bowl disease (IBD). [35:54] – Lectins aren’t plant exclusive, there are animal lectins too. While Paul can’t confidently say that they are not a problem, he explains it’s not clear how significant they are in terms of causing symptoms. [36:58] – We know some people can eat certain animal meats but not others. Paul explains that this could be due to the antibody response. [39:00] – Paul explains how the issue with lectins has given him a great new tool when trying to help people figure out why they are having trouble losing weight on keto. He also explains how he uses antibody testing to pinpoint a diagnosis. [41:09] – The type of test your doctor can do depends on test availability in your location. Some tests Paul recommends doing, if possible, are faecal calprotectin, intestinal permeability test, PEG 400 and serum zonulin. [43:48] – Today there is better advice available once a leaky gut is diagnosed. For example we know certain things are particularly damaging to the gut include emulsifiers in food, pollution particles (PM10) and titanium dioxide nanoparticles (used as a whitener in food). Also, supplementing with lecithin can help. [45:58] – Paul explains there are certain conditions, such as the chronic fatigue syndrome, that we have long speculated about their causes and they have been very hard to treat. With the latest evidence, Paul feels he can offer these types of patients some hope. [48:09] – While carbs are important, it is not all just about the carb counting. To lose weight we need to consume less energy than we are burning. However, Paul explains that the calories in, calories out model doesn’t explain how to get your body to burn more than you are putting in; lectin resistance and activation of insulin pathways can explain this. Gary, thanks for your show. I think you are right, Dr Paul is a rising star, what an amazing mind and kind heart he has. So proud of this Ozzie Doctor, if I was sick Id make my way to Sydney ! Should say you are an excellent interviewer as well. You have a great talent for really listening and summarizing what is said. Love your shows. Thank you!